In the “wake” of the 2018 Tire Rack SCCA® Solo® Nationals, the Solo National staff and SEB have come together to not only address some issues encountered at past Nationals, but also begin renovating the look and feel of the event by first defining what Solo Nationals should be. With a focus on the future, and knowledge from the past, they will begin to implement new procedures and policies, realign and redefine roles and responsibilities, and adjust the event as a whole in an effort to provide the best experience for all participants and attendees of the 2019 Solo Nationals and beyond. A major contributor to the Tues/Weds issues in 2018 (besides weather, video, etc) was the total number of entries and their spread over the pairs of days. 2018 saw a 60/40 split between Tues/Wed and Thurs/Fri, with the normal spread being only around 5%. This was due to a few classes having a surprisingly high level of participation, as well as the usual class hopping. With this situation in mind, the initial Run Order to be released in a week to 10 days will include six or seven sets of classes (Open/Ladies) that will be studied over the first half of the 2019 season relative to attendance, with their run order being announced the first week of June. Registration will be in two Tiers as the beginning of a process that will play out over the next couple of years in defining what the Solo Nationals should be. Specifically, the plan reflects several comments received in post-Nationals surveys and discussions – Rewarding and acknowledging the “Best of the Best,” those that clearly support the event, and those with long-term support of the program. There will be a defined end to the competition day in the supplementary regulations that will be a certain number of minutes prior to the official sunset for Lincoln, Nebraska on that day. An example would be that if sunset was at 7:31 p.m., competition would end at 7:01 p.m. Exact language will be in the Official Supplementary Regulations that will be released in early June. We appreciate all the constructive feedback we have received from our members. It is our every intention to use that feedback as a data point as we move forward to create the best Solo Nationals experience possible for all of you. Please keep an eye out for future “News on Nationals” as we continue on the journey. 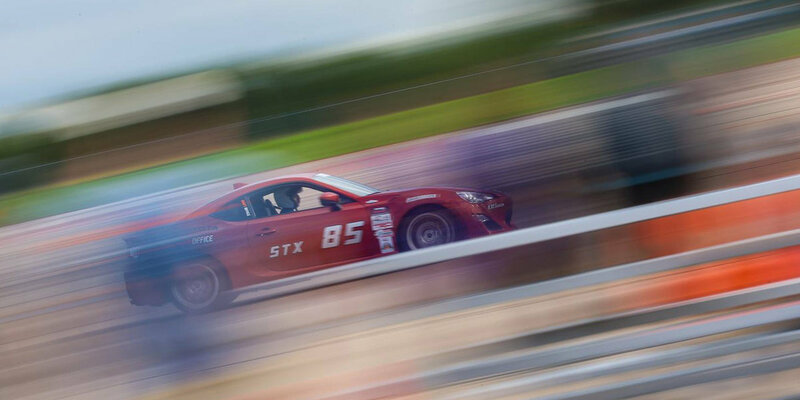 Topeka (Feb 26, 2019) – In keeping with the old adage, “Nothing is consistent but change,” an unanticipated change needs to be made to the 2019 ProSolo® schedule. The June 28-30 Tire Rack Blytheville ProSolo at the Arkansas Aeroplex has been rescheduled and moved to Heartland Park Topeka on July 5-7. SCCA® received word that Arkansas Aeroplex will no longer be available as a Solo site for the foreseeable future due to an increase in commercial activity at the airport. Several jetliners awaiting renovations are already parked on the north end of the Solo area, with even more on the way. The Club is extremely thankful and grateful to both the Arkansas Region and people of Blytheville for being amazing hosts over the last 10 years. Competitors truly feel like they had become part of the community through working with local charities and conducting Tire Rack Street Survival events, as well as all the ProSolo and Champ Tour events conducted at the venue over the years. With Blytheville no longer an option, Heartland Motorsports Park stepped up and agreed to host a replacement ProSolo event on a weekend near the original Blytheville date. The new Heartland Park ProSolo will be held on July 5-7 in Topeka, Kansas. Devon Hilton, the track’s general manager, speaking on the opportunity to host the event said, “Heartland Motorsports Park in Topeka, Kansas is truly humbled that the Tire Rack SCCA ProSolo’s eighth stop of its premier 10-race series will be held at our recently renovated facility. Our paved, 60-acre South Paddock will be more than ample space for the ‘side-by-side Christmas Tree’ start preceding two identical autocross tracks for individual laps timed down to 1/100th of a second. For racer and crew comforts, HMP offers on-site electrical RV connections, private air-conditioned showers and a vast amount of pit parking. Concessions will be available from gate opening time to the late evening hours as well. ProSolo organizers apologize for any inconvenience this may have caused to vacation time scheduled, and travel plans that may have already been made. From the moment it was learned the Arkansas Aeroplex venue was in jeopardy, every effort was made to quickly find a solution and distribute the news in a timely fashion. We are confident that Heartland Motorsports Park will provide an excellent facility on which to hold the eighth round of the ProSolo series. We look forward to seeing everyone there! 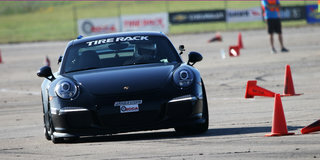 For a complete rundown of competition, visit the Tire Rack Solo Nationals webpage. 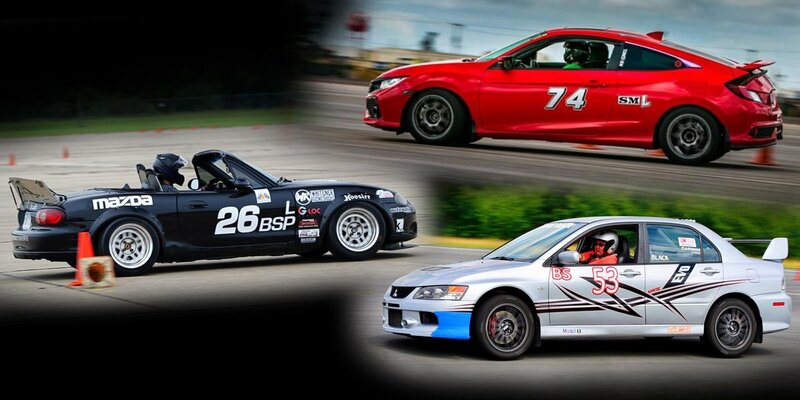 For a complete rundown of competition, visit the Tire Rack Solo Nationals webpage. 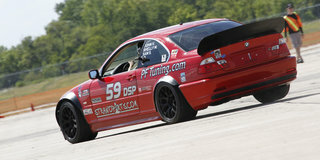 Also, follow all the action with live timing and scoring at SCCA.com. TOPEKA, Kan. (September 13, 2017) – The 2017 Tire Rack ProSolo® season came to a close in Lincoln, Nebraska at the 2017 Tire Rack ProSolo Finale. While 300 drivers were competing for event honors, they were also shaking out the season-long point standings. By virtue of winning the Ladies Challenges at Fort Myers and Mineral Wells, Jordan Towns’ ProSolo Finale Challenge win secured her the Ladies Challenge Points Championship, and the Fletcher Cup. Despite being eliminated from the Finale Super Challenge in the second round, Mark Scroggs’ two Challenge wins at Crows Landing and Packwood earned him the Super Challenge Points Championship. 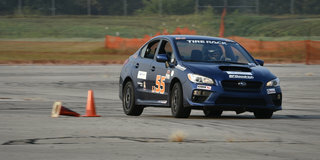 To read the full coverage of the Tire Rack ProSolo Finale, click here. Photo: Jordan Towns navigates the course en route to the L2 ProSolo Finale win and Points Championship.